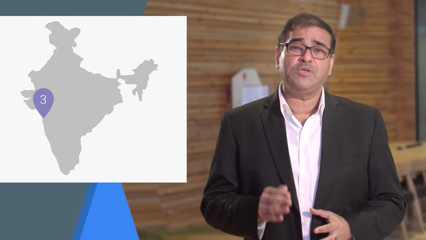 India’s Google Cloud Platform region has arrived. Customers can now run their workloads and store data in India. The Mumbai region is now open. You can now select Mumbai as a GCP region, enabling customers and users in India and surrounding areas to use compute, big data, networking and storage closer to home. Hosting applications in the new region can improve latency from 20-90% for end users in Chennai, Hyderabad, Bangalore, and of course Mumbai, compared to hosting them in the closest region, Singapore. See our announcement blog post. Google is investing in Asia Pacific with new submarine cables. Indigo connects Singapore, Indonesia, Perth and Sydney and will open in 2019. SJC connects Japan, Hong Kong and Singapore and opened in 2013. These submarine cables investments provide Google customers with private, high-speed connection to their cloud data. The Mumbai region has 3 zones. Developers and network admins can distribute apps and storage across multiple zones to protect against service disruptions. With Google Cloud Platform, you don't need to make commitments to get great prices. By paying for services on an as-needed basis, you save money and direct more focus to innovation. Indian clients will be able to buy our services directly in Indian rupees (₹). View our pricing. "We wanted to have a low latency and secure cloud platform to create our active-active, high availability and load balanced multi-cloud setup. GCP gave us a low latency network, better than expected SSL performance, and the ability to optimize costs further with custom machine types. The new India region will help us bring our service even closer to Indian consumers." "As a senior leader within the organisation, I see the key benefits of GCP and other technologies being lower cost; greater efficiency; and improved business continuity... For example, the current data center team can be redeployed to other initiatives as the technical experts at GCP will be undertaking most of the management and maintenance tasks." "Google has been pushing hard into deep learning and making powerful tools and technologies available on GCP. We really appreciate the stability and scalability of the GCP platform – as a fast growing startup, we can scale our platform up and down in minutes without any worries." "Once our team was exposed to GCP and understood the superiority of the platform, our mindset changed from 'let us do everything on our own' to 'let us do what we do best' and delegate the remainder. We are always eager to see what new services are being launched and are extremely excited about what GCP can provide as part of its roadmap." Google Cloud Platform partners in India are available to help design and support your deployment, migration and maintenance needs. Learn from Google’s engineering experts on how the modern enterprise is benefiting from the latest in Cloud technology. Topics include “Introduction to GCP” through to "Overview on Machine Learning". See our announcement blog post.